Assam DGP Kuladhar Saikia. File image:Northeast Now. 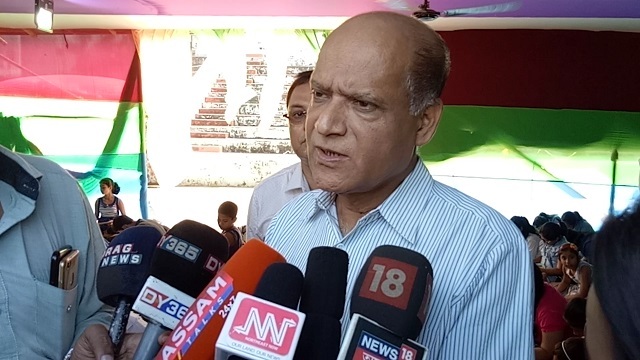 Assam’s Director General of Police (DGP), Kuladhar Saikia on Saturday said that the police in Assam were over burdened due to the recent spate in cases of social media abuses. “Lots of cases come to police stations these days in connection with social media posts, like posts on Facebook or WhatsApp etc. In the event of any mischief occurring in the social media people come to police stations. “Police are over burdened by these. The Police also need some space to look into other crime cases like thefts, dacoity etc.,” said Saikia on the sidelines of a press conference here on Saturday. “There is no harm in coming to police station if it is a genuine case. However, if everyone comes to lodge complaints over frivolous things on social media that only leads to increase in number of cases,” said the DGP. It may be mentioned that the social media monitoring cell of Assam Police has been functioning splendidly of late and it isomer of the best in the country. The role of the social media monitoring cell was very crucial while Assam police was investigating the case on lynching of two youths from Guwahati in Karbi Anglong in the summer last year. The proactive role played by this cell of Assam Police helped rounding up all the accused within a very short period.